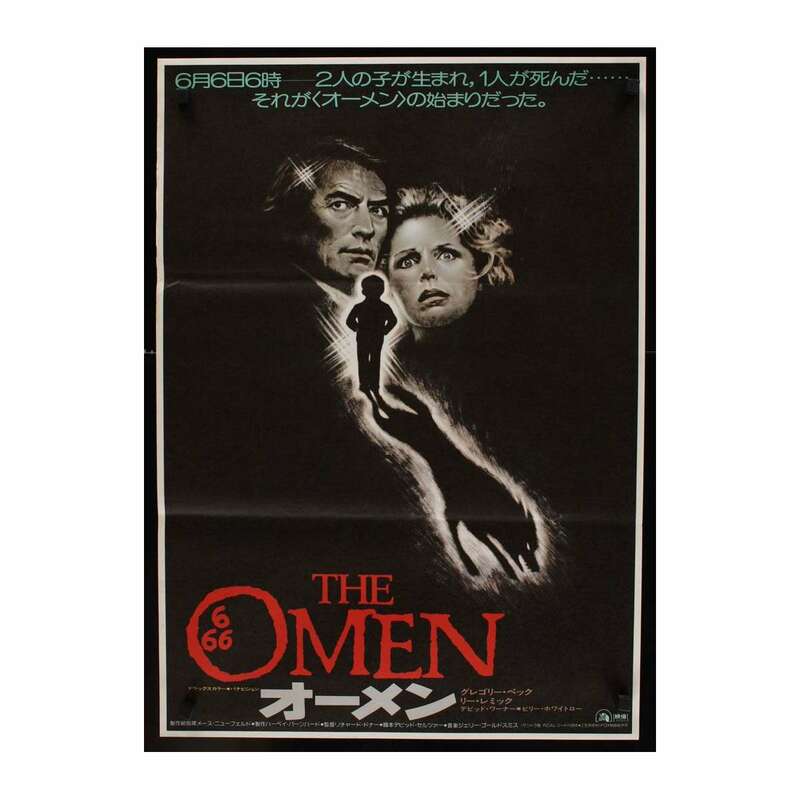 THE OMEN Original Vintage Theater-Used Unfolded Japanese "B2" Movie Poster (measures 20" x 28 1/2" [51 x 72 cm]) Condition: Excellent (C8) See our 10 GRADE SYSTEM Page for more information. The Omen is a 1976 American suspense horror film directed by Richard Donner. The film stars Gregory Peck, Lee Remick, David Warner, Harvey Stephens, Billie Whitelaw, Patrick Troughton, Martin Benson and Leo McKern. 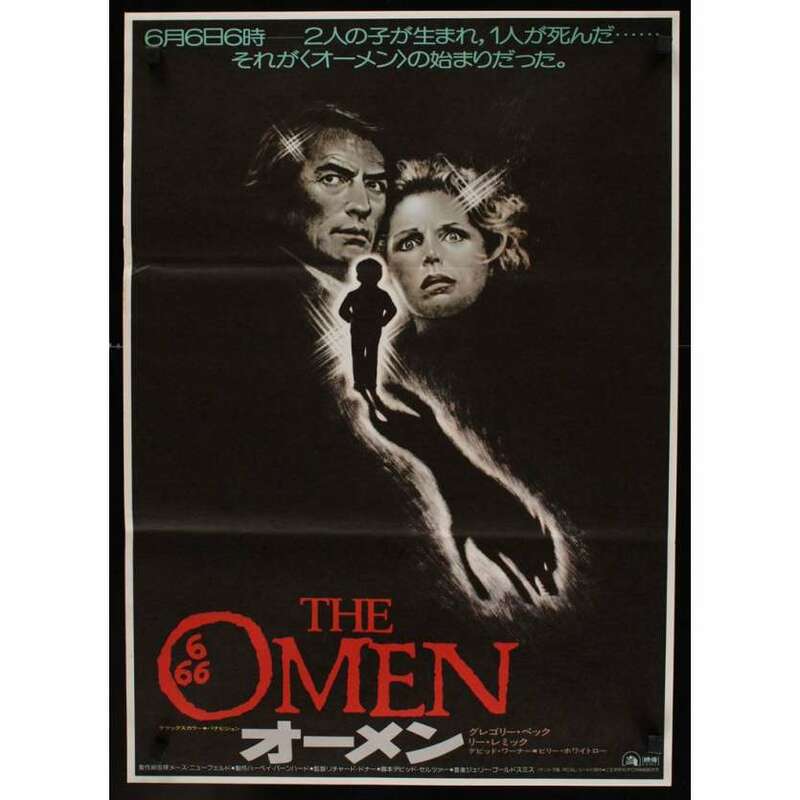 It is the first film in The Omen series and was scripted by David Seltzer, who also wrote the novel.